Coffee, as a material, has never exhibited itself in the world as that of anything other than a vessel in which to hold chemical materials for our consumption. Perhaps it is because of our detachment with coffee, as a commodity for consumption rather than a plant and bean, that we often perceive coffee grounds as material waste. The focus is so largely on the end result, on that perfect cup of coffee, that we have become detached from all its embedded cultural, economic, physical, and environmental footprint. In 2011 alone, we consumed and produced 8.7 billion pounds of coffee grounds. To get an idea of scale - if we were to replace the Empire State Building’s concrete with coffee, we could build roughly 2100 Empire State Buildings in a year. All of this is a revelation that perhaps we understand very little about the power of such a commodity. Because if we did realize its power - as commodity, culture, and drug - we would realize that coffee is a huge waste, a missed opportunity for reuse. We are bound to the grounds of our own waste, we must turn over these used grounds, and build. With our ever growing demands of materials and energy for construction, we should look towards alternatives to lessen our burden and reliance on the scarcity of existing resources left on our planet. Coffee generates an extremely large amount of material waste, one that has such a complex and rich amount of resources put into it that there must be a better form of use than to discard it. 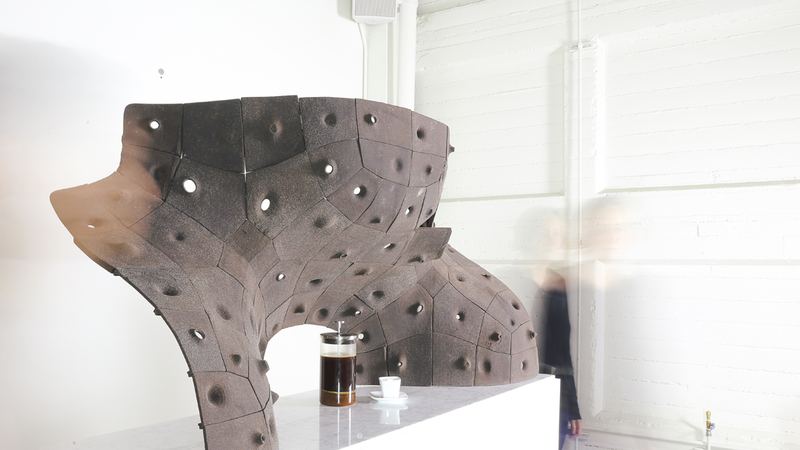 This project proposes and demonstrates a material application which utilizes 3D powder printing and CNC routing to fabricate reused coffee grounds. 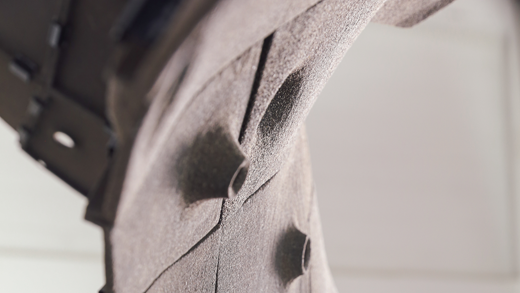 However not just through digital manufacturing, but also material science and agency, this project also investigates and questions our relationship with materials as they manifest through the translation of fabrication. In this vein of thought, we must consider coffee as material for the spatial construction of architecture. 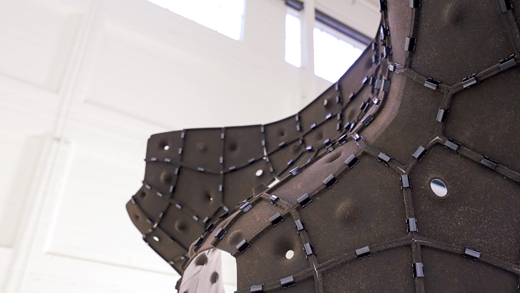 Digital fabrication technology offers creative opportunities for architecture and construction from the scale objects, components, to buildings – but not at the expense of material consideration. The structure is first modeled digitally using Modo and then organized into various nested files of the various aggregated object tiles comprising the structure. The work is then fabricated using 3D powder printing of reused coffee grounds within old Zcorp powder printers. This project required the invention and formulation of a 3D powder formula using reused coffee grounds which was engineered through research. 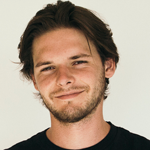 AiR Presentation: Alex Schofield from Pier 9 on Vimeo. Coffee is nice material; I think that this is an excellent idea, especially for FabCafe. We have a same kind of project in our FabLab where we use coffee to grow mushrooms. So it could be nice to build a coffee bar with this project with mushrooms on it. This project is also excellent for people to think how to recycle and how to build thing differently. Great project!